5 Characters That Would Work Greatly In A "Grim & Gritty" Film. With the release of the Fantastic 4 reboot teaser, there has been a lot of discussion (personally I thought the teaser was bland and weak). However, some people have been calling it another grim and gritty Superhero film, as if that was a bad thing. Some of those who call Superhero films grim and gritty seem to misunderstand what grim and gritty mean and/or assume that being dark (which I've talked about before is not a bad thing either) is the same thing which it isn't. Neither mean that a work has to be dark, can't have comedic elements or have to be realistic (just watch Samurai Jack, Full Metal Alchemist and Adventure Time for that) if they choose to be grim, gritty or both. 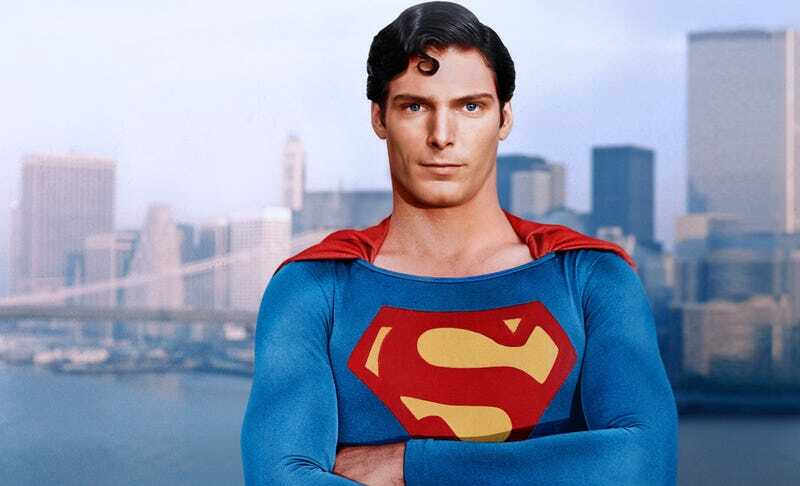 All it needs is a creative team that can do it successfully like with Hellboy and the Dark Knight Trilogy, while Man of Steel is an example of it done badly. As such, here are five characters (or teams) who would work perfectly in a grim or gritty film. Please feel to disagree and come up with your own choices in the comments below. The Birds of Prey were lead by Barbara Gordon who had been paralyzed by the Joker and has been come one of the greatest computer experts and tacticians in the DC universe. The other regular is Black Canary, former leader of the Justice League, an expert martial artist and has the Canary cry. Both are courageous and brave in their own ways and have been through very serious adventures and arcs in their time in the books (especially in the Gail Simone era). This would make it very easy to adapt them into a film with a similar tone. Making a film about a villain is a very dangerous idea as it can go wrong very easily if you make the villain too evil or if the audience has a lack of empathy for his goals. However, Dr Doom has shown that he can succeed in being a protaganist people would like to see/read in the comic Doom 2099. In Doom 2099, he finds himself in the future where his country has been taken over which despite Doom himself being evil, it is clear that he did care deeply for his country. Doom is already a very serious character and a story (though not necessarily set in the future) would be a gloomy one. It would also be easy to make the character of Doom brave and courageous, realizing that he was wrong to be evil and redeem himself to his country and defeat the ruling villains. This one may seem odd at first. But when you think about it, the plot of sonic is rather gloomy as the world is destroyed and mechanized by Dr Eggman with its populace being turned into robotic slaves. Also, nearly all the main Sonic characters can be described as courageous and the idea doesn't seem as far-fetched. From the Judas Contract to the Technis Imperative, to the Terror of Trigun to the New 52. The Teen Titans have gone through their own share of grim and gritty adventures. Even outside of the comics, the 2002 series had its fair share of grim and gritty stories and arcs like their own version of the Judas Contract. This is partially thanks to DC imposing less restrictions on writers when it to comes to the Titans compared to other teams like Justice League and they were allowed to tell stories which the others couldn't (which no, doesn't mean the other DC superhero teams do not include grim or gritty stories in their runs). Even if you were to only just to tellone of the individual team members stories and origins. Either Robin, Raven, Starfire, Donna Troy, Ravager etc all have their own stories and origins that can be described as grim and gritty. For more information, comic reviewer Linkara has done an excellent review of most of the Teen Titans run and as you can see for yourself, a lot of it was serious (as well as goofy as shown when he gets to Hippy Town USA). People about to scream Man of Steel at me let me explain. Man of Steel was an average film at best and failed poorly in its execution of being grim and gritty with bad dialogue, forced Jesus imagery (even though he's more like space Moses) and head scratching plotholes (why don't they just terraform Mars?). That doesn't mean Superman can't work in a grim and gritty situation or story. Nor does it mean that you would have to change who Superman is to make him work. "They can be a great people, Kal-El, they wish to be. They only lack the light to show the way. For this reason above all, their capacity for good, I have sent them you... my only son." This is what I think makes a truly good grim and gritty Superman film great, it would be the most optimistic of them all. A film that advocates that we are capable a great and noble deeds no matter how small and that would be brave enough to stand against true evil threats like Braniac or Darkseid.